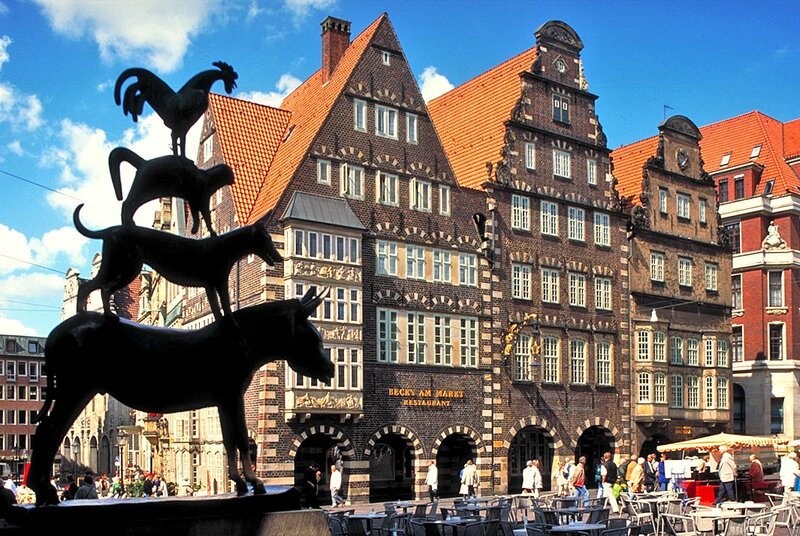 ​Bremen is a picturesque city in the noth of Germany with a population of 550.000, the city was once a member of the medieval Hanseatic League and is still one of the most important in northern Germany. Together with the city of Bremerhaven on the North Sea it forms Germany's smallest state. Known worldwide for the brothers Grimm's fairy tale "Town Musicians of Bremen" and for the beer Becks, which is brewed in a factory on the riverside, Bremen has grew from being a small fisherman's village to a large city with a a vibrant cultural life and nightlife. The city centre is very compact and all the sights are within walking distance. Start the visit at the townhall square, where you will find the magnificent townhall building and the statue of the 4 musicians of Bremen,then visit the old fishermans village of Schnoor, the oldest part of the city, miraculously escaped the destruction of the second world war where you will find perfectly kept medieval buildings you and a large selection of restaurants mostly catered to tourist. 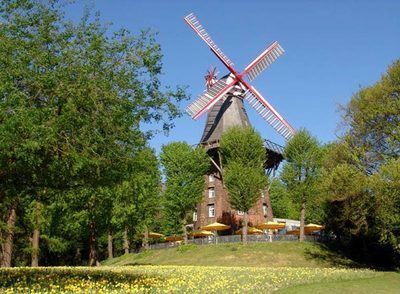 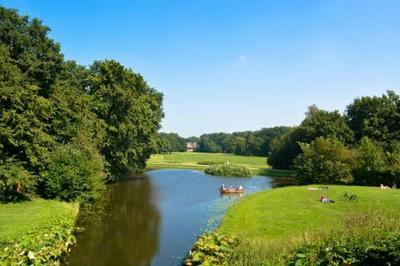 Relax in one of the cities many parks, including the buergerpark know as the "green lung", the largest and most popular park in the city located just behind the central station, has something for everyone and is a must for any trip to Bremen. 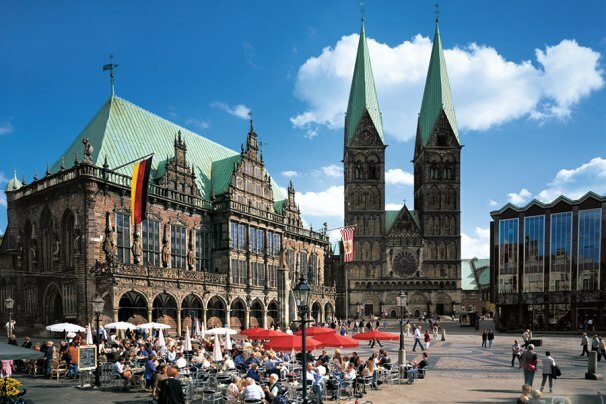 The large student population of the city makes sure that the party never stops in Bremen, you can go clubbing just any day of the week and come home just as the day breaks. 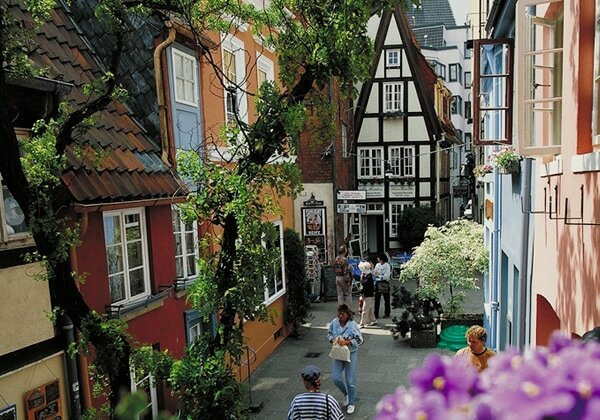 Most clubs can be found in the area of the central station, however we do recommend to have a drink or two in one of the lively bars in the neighbourhood of Das Viertel, the most colourful and bohemian area of Bremen just a short walk from the historic centre.